Which first round game breakers have been most valuable to their team in the playoffs? Almost two weeks into the playoffs, we have seen a few players stand out among the rest. Timely goal scoring, shut-down defense, and stout goaltending have helped teams such as the Tampa Bay Lightning and San Jose Sharks dispatch their first round opponents. 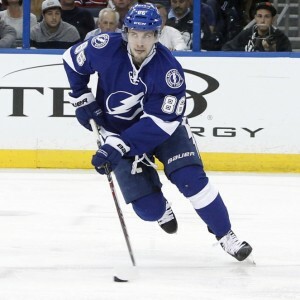 No player was more valuable in the first round of the playoffs than Lightning sniper Nikita Kucherov. In the five games against the Detroit Red Wings, Kucherov registered five goals and eight goals to lead the Lightning in each category. Even more impressive was the fact that Kucherov contributed to 66.7% of the Lightning’s goals. Finally, Kucherov has been a catalyst on the Lightning power play, leading the way with four power play points. Is there any surprise here? After a record-setting regular season, Braden Holtby is again looking masterful between the pipes for the Capitals in the playoffs. Despite losing the last two games, Holtby has kept his team in the game each time (you can’t win unless you score). 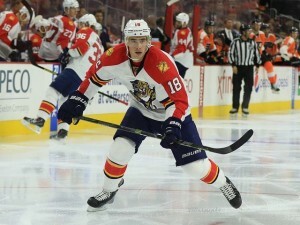 Though the Florida Panthers-New York Islanders series does now exactly present a marquee matchup, Reilly Smith’s play has garnered top billing. Smith also has eight points through five games with the other Florida team in the playoffs. Playing on a dangerous line with Jussi Jokinen and the recently healthy Vincent Trocheck, Smith has done some serious damage against the Islanders. Smith’s stellar paly is not just limited to the offensive zone though. Throughout the series, Smith has contributed to the penalty kill and has had key blocked shots late in games. 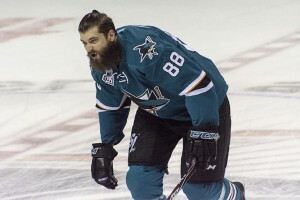 While teammate Joe Pavelski torched the Los Angeles Kings with five goals in siz games, Burns is leading the way with eight points in that timeframe. Burns leads all Sharks defensemen with almost 24 minutes of ice time per game and plays in all situations. After taking in Game 1 of the Kings-Sharks series, it was easily noticeable that Burns was the best player on the ice all night. While Marc-Edouard Vlasic is normally the shut-down defenseman in San Jose, Burns stymied everything the Kings mustered against him. His puck moving skills in his own end broke up any dump-and-chase attempts the Kings made. Throughout the first round matchup against the Florida Panthers, Islanders’ captain John Tavares has completely stepped up his game. With seven points in the series, Tavares has been the most impactful player on the ice for both teams, even more so than Panthers’ Reilly Smith. His ability to win key faceoffs, draw penalties, and dictate possession on the ice has put the Islanders in a good spot against the Atlantic Division champions. 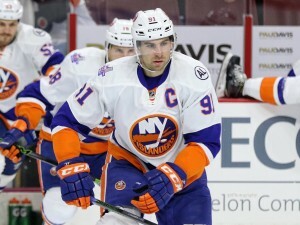 If the Islanders had deeper scoring to complement Tavares’ strong play, this series would be over by now. Honorable Mention: John Carlson, Pavelski, Brian Elliott, Ben Bishop, Fredrik Andersen.